From digital entertainment channels, to film, TV and music, the Asian American influence has become readily apparent across the U.S. mainstream. Besides their trendsetting usage of online platforms, the most recent Nielsen report also presents a long list of young Asian Americans who have successfully build their own powerful brands as social media influencers and content creators. In one of our previous blog posts, we highlighted a few real-life examples of these YouTube personalities who have used the audience’s affinity for digital platforms to gain millions of followers and subscribers from all backgrounds. We have recently invited Dan Matthews, Director of Productions at ISAtv, to share his experience in creating social media campaigns targeting Asian American millennials. He also gives his advice on how advertisers and marketers should leverage the relationships with these influencers, and to get their brands in front of millions of devoted followers. Before we begin, can you briefly tell us about your company ISAtv? ISAtv stands for International Secret Agents. It was founded about 10 years ago by some of the leading digital producers and entertainers in our community, such as Far East Movement and Wong Fu Productions. It originally started with us producing concerts and events. Then it led into content production and a network of talents. Ultimately our goal is to be the platform for Asian American media and talents. We do that through our live events, content production, music videos, documentaries, and short films. It was also done through a lot of influencers. We partner up with brands to help them find the right talents and build the right content that matches everything they would like. Why and how is what you do effective in delivering Asian American audience for marketers? As everything becomes more digital and more technology-driven, social media is the most accessible platform for a lot of Asian Americans to find what represents them. Ultimately, everybody wants to see things that represent them and tell their stories. And what we are able to do is to find the platforms and the people that help tell those stories. We are finding storytellers that represent those things that the audiences are craving. Asian Americans are minorities, so we don’t have a lot of other platforms or mainstream media to represent our stories. And because of that, a lot of Asian Americans go online to find stuff that represents them. Luckily, we have been able to build relationships. We have a community of people that started out together online. So as YouTube, Instagram and Facebook and all these technology platforms went from being fringe to being more mainstream, we have been able to build on the followings that have been there from the beginning. All of our audiences are online. Asian Americans are heavily digital-focused, that’s where the eyes are. When people try to find the audiences, it’s really not finding opportunities via broadcast, radio or any other platforms. A lot of the audiences are online and that’s the best way to target them. We have been successful because we are able to leverage those platforms in the best way. We are also able to work with talents, to tell stories in ways that’s best fitting their voice. Because of that, we have been able to help tell those stories that fit the brands and fit the influencers. What is the core target audience for your social media campaigns? I love answering that question because it’s not a straightforward answer. It always depends on who you are trying to reach. That’s what I love about digital because there are so many eyes and so many different people that are online, so you can find different influencers or different talents to be able to reach that particular market. So if you are looking for mommy bloggers or trying to reach women at age 35 – 45 years old, we can find those for you. If you are looking for bloggers that can reach the male millennial crowd that are into gaming, I think digital makes it really easy to identify those platforms. And because of the ways you can break down audience-base on digital, you can see where those audiences are, which states, which country and what their age demographics are, it makes things so much easier to hone in on who it is that you’re trying to target. The best way to put it is that, even though our main focus is to find the Asian American millennial crowd, what we have been able to do over time is that we have gotten older, and our contents have gotten older. We have got audience that are mommy bloggers or younger audiences who are discovering digital for the first time. In your opinion, what makes a successful social media Influencer campaign? I think there are two things. First thing, you need to be focused. You always want to make sure you are getting what the clients need. That’s probably the most important thing, to make sure you are hitting the right audience, and to be able to identify and work with the right talent that reaches the right audience, age and location. Along with that, it’s about really good storytelling. So being able to tell these stories in a way that reaches their audience in the best way. People are so susceptible to advertising now, and you need to do it in a way that people are not just going to scroll through. You want to be able to create something that they want to watch and it’s going to be able to stay in their minds for a really long time. I think that memorable influencer campaigns in really cool stories that stick with people are going to be the number one way to be able to create a good campaign. APartnership has worked with you on many client campaigns, and our team is currently working with you for the California Tobacco Control Program. Can you tell our readers about the campaign? We have been able to work with California Tobacco Control Program along with Tobacco Free California to create this really cool campaign that is ultimately targeting two different audiences in California. What I like so much about this campaign is that we are trying to reach all sorts of different Asian Americans. There is the change-makers, which are the older audience that are more politically active. They are generally at the age that they have kids, and they are into things that are more politically-driven. So because of that, we might want to target people who might like to go to film festivals, people who are more into the arts, and the non-profit activism. And then there is also the social-smoking, which are the millennial Asian Americans. They are the types that like to go out to clubs or bars, the types that like to go out with friends. They think ‘just having a smoke because I am out with friends, that’s ok”. We are trying to pull back the curtain on behaviors like that for that audience. For the older politically driven, change-maker audience who might have kids and trying to get them to realize that tobacco is very different than what it was like when we were younger. Apparently there are over 15,000 types of flavored tobacco out there, which is crazy! They have all these flavors that are attracting kids. When I was younger, if the flavor is ‘bubble gum’, I would like to try it, too. So we try to target both of these audiences and we have been doing a number of different things, mainly focusing on digital and online. The biggest thing is trying to find those platforms that these people might be following. So, for the social smoking, it’s heavily influencers. It’s definitely about trying to find influencers that our younger audience would likely be following. We are also trying to find these really cool events that are happening during the Asian Pacific American Heritage Month. And we are able to partner up with these events to help them get the messages out. For the change-maker audience, it was focusing on two of the biggest Asian American film festivals in San Francisco and LA. This basically hits most of our Asian American audience. And beyond that, we did a lot of geo-fencing. We were able to fence around different locations and areas that we thought that we would find these change-maker Asians at. Generally, there are so many of us, and there are so many types of Asian Americans. It’s just about focusing on areas that we know for sure that we can hit those people and for the Bay area and LA, it’s honing into the area that we know for a fact that these are the areas where the people are going to be in, by using messaging influencers and all these mixtures of things. Tell us more about the documentary ‘Be About It’, which you have also helped us to promote through influencers on behalf of Gilead Sciences. We assisted on the campaign that target people for Gilead Sciences’ ‘Be About It’ Campaign. There are a lot of Asians Americans that are very susceptible to Hepatitis B. A lot of them don’t know that they or their parents needed to be screened for it. So our goal is to target Asian Americans to get them to understand that this is something that’s really prominent in our community, and it should be focused on and be paid attention to. Hopefully, it will get them or their families to get screened for. A lot of Asian Americans come from families that are first generations. So their parents might have moved from another country and they don’t realize that they should get screened for Hepatitis B. Our goal is to partner with Gilead Sciences to make a short documentary, which is really touching. It features two families that are affected by Hepatitis B. We basically partnered up with some of the very well-known Asian American influencers. We got them to go out to the screenings of this documentary. We get them to post about it and letting their followers know that they should go watch this documentary. I really feel if you have a very memorable story, and if it’s something that is going to stay with people, like this documentary, it is going to change people’s mind. Storytelling can change people’s mind, and hopefully can get people to take action. At the end of the day, it was about getting these influencers to target the right audiences and get them to talk about why this thing within our community is something that they need to know about. We took it from a personal point of view, and they told the stories the right way, all of their messagings were good. Ultimately, it did the job to get people to be aware of the documentary. Hopefully, this will get people to act upon it. Where do you think influencer marketing will look like five years from now? And how will it change the way marketers reach Asian American? I think everything is about being able to adapt quickly. Our company has done a really good job at adapting new technology as quickly as possible. This is one of the benefits of being a small company. Our goal is to stay on top of all the new technologies, like Instagram TV is a brand new thing right now. I think that’s something that everybody should pay attention to. We are heavily looking into it now, because we know that that’s where our audience is going to be. So I have no idea what’s going to happen in five years! But I am sure because of virtual reality and augmented reality, everything is going to be drastically different in five years. It’s not up to me to be able to predict what it’s going to be. But it’s up to me to be able to adapt. I can be completely wrong, and maybe, virtual reality is not going to be a thing in five years. But it’s about being really quick and being able to adapt and find opportunities that are cool and new, and to ultimately get people to remember the story you are trying to tell. What kind of advice would you give to a marketer that is trying to reach Asian American consumers? Number one, hit me up and get at me! At the end of the day, it’s being heavily focused. Everybody believes that “one size fits all”. But even if you are thinking about pan-Asians, like people who are native English speakers, the way that Korean-Americans, Chinese-Americans and South-Asians react to things are so different. I think it’s important to understand that there is no ‘one-size-fits-all’. If you have something that fits pan-Asians, you’d still need to adapt that messaging to hit the right audiences. People do care about things that reflect themselves and their stories. Even if it’s something that fits the Pan-Asians, so it’s hopefully going to fit the same audience. I guarantee that the Filipino-Americans are going to think it’s amazing and cool to focus on Asian Americans as a whole. But if you reach an audience and really target that audience, you need to feature people and stories that reach those particular audiences. It’s finding a good way to hone in on those particular groups. 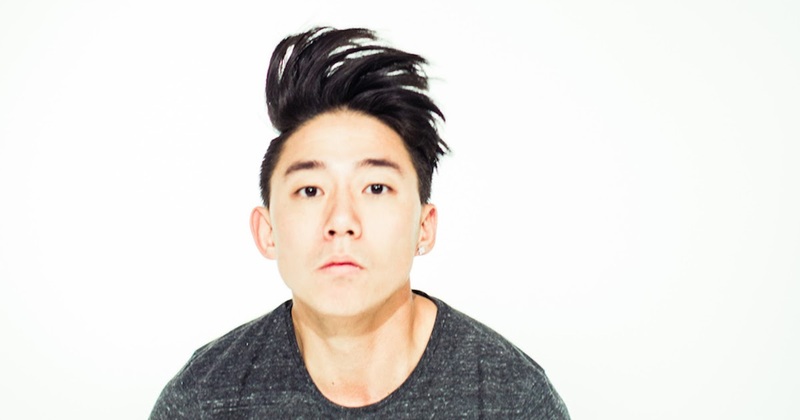 DANakaDAN is an alternative hip hop artist based in Los Angeles, CA. He recently produced a documentary series detailing his very personal journey with meeting his biological family for the first time, including an identical twin brother he never knew about (who also raps). The documentary was produced alongside Mayrok Media+Arriang TV and has been released via ISAtv, Hulu, and Drama Fever. Dan also released a companion full length album, “Stuntman,” which chronicles his experience with adoption, addiction, self, and identity. It features appearances by Kero One, Clara C, David Choi, AJ Rafael, Priska, Paul Dateh, Paul Kim, and Travis Graham. He currently works as the Director of Productions at International Secret Agents, an Asian American media network founded by Far East Movement and Wong Fu Productions. Connect with Dan on Twitter (@danakadan) and Instagram (@danakadan)!